When social media demands immediate reaction, it’s easy in our polarized society to speak past each other, make wrong assumptions, and be misunderstood. And these dangers are nowhere more of reality than when addressing race-related questions in the United States. In order to gain perspective on an often perplexing set of issues, I recently reached out to several TGC friends and asked for book recommendations—for essential books that illumine the cultural moment we’re in, explain how we got here, and encourage us forward. Without exception, the first book I always recommend to people seeking to understand the dynamics of race and the church is Divided by Faith: Evangelical Religion and the Problem of Race in America (Oxford University Press, 2001). The authors—Michael Emerson and Christian Smith—take a sociological approach to discern exactly why the church in the United States is segregated along racial lines. A central concept of the book is the idea that we’re living in “racialized” society. A racialized society is one “wherein race matters profoundly for differences in life experiences, life opportunities, and social relationships.” Differing economic, educational, political, and social rewards are bestowed to groups based on racial categorizations. The authors’ exhaustive quantitative and qualitative study yields other important conclusions. They find that, despite stated convictions otherwise, white evangelicals may “do more to perpetuate the racial divide than they do to tear it down.” They point to ideas like free-will individualism, anti-structuralism, and relationalism to explain why certain Christians overlook or dismiss systemic forms of racial injustice. 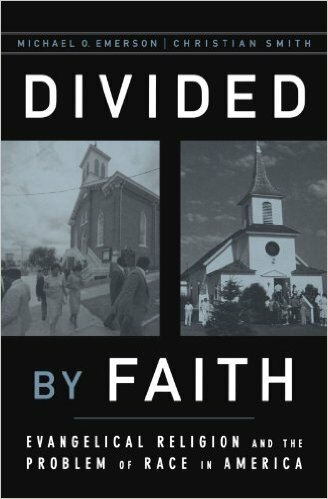 While Divided by Faith does not offer many solutions or an optimistic prognosis for race relations and the church in the United States, the analysis of the causes and consequences of prevailing racial attitudes within Christianity is essential for a nuanced and informed understanding of the issues. 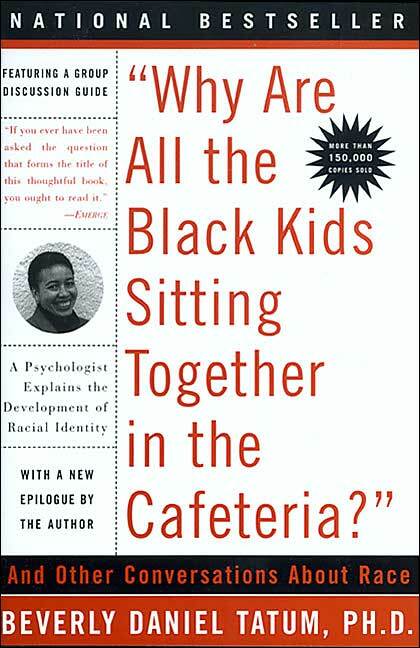 Beverly Daniel Tatum’s brilliantly provocative title gets right at it—“Why Are All the Black Kids Sitting Together in the Cafeteria?” And Other Conversations About Race (Basic, 2003). An educator and psychologist, Tatum tries to explain how the process of racialization happens within communities, and among children and adolescents in particular. But the book is about far more than child psychology. Her work is full of historical analysis, critical race theory, and sociological studies that help illuminate the power of the idea of race in American life. Further, Tatum’s work should be especially helpful to white evangelicals who struggle to understand the experience of those not in the ethnic or racial majority. Discerning readers will disagree at times with her presuppositions and conclusions, but there is still so much to be learned from this book that I think it’s essential reading for any white evangelical leader who desires to lead his or her institution or organization toward an intentionally multiracial and multiethnic future. In light of recent, high-profile shootings, many folks—black and white, on the Left and Right—are asking questions for the first time: What about the facts of this case? What about the injustices of this case? What is it like to be black? Why do people loot and riot? How does the evil of the human heart manifest when it comes to race? What if I told you someone has already done the hard, beautiful work of thinking through these questions around another high-profile shooting, one that happened decades ago? What if I said you’d be surprised by this work’s conclusions? Enter James Baldwin. Baldwin—a black, secular writer—has long been hailed as one of the leading intellectuals of the 20th century. His collection of essays, Notes of a Native Son, is worth its weight in the title essay alone. In that essay Baldwin fleshes out profound truths—not the least of which is the fact that any kind of appropriate response to racism and violence must begin with the hard and humbling acknowledgement of our own individual propensity toward both. Join Baldwin in his probing investigation, and you’ll glean answers to some of your own mysteries. His work is a must-read. 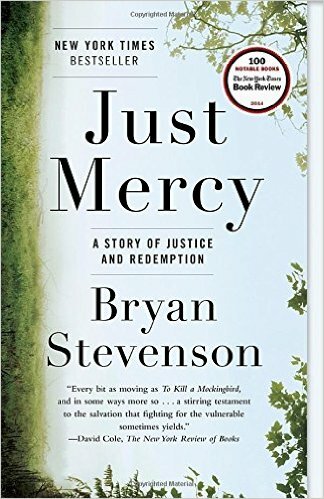 When he was in his 20s, Bryan Stevenson was a young Harvard lawyer, living in Atlanta and practicing law at the Southern Prisoners Defense Committee. One evening, as he sat listening to music in his car in his apartment’s parking lot, a police SWAT unit approached him. They shone lights, pulled out a gun, and yelled, “Move and I’ll blow your head off!” They then searched his car and glove compartment. As a lawyer, Stevenson knew this was an illegal search because they lacked cause. But he also knew that if he—a black man—said something, it would be interpreted as resistant or defiant. So he kept quiet and endured the injustice. The perception exists that the Civil Rights movement was a coalition of African-American clergy and white mainline Protestant ministers, both of which were theologically liberal. I’ve met plenty of white evangelicals, even among Generation X and millennials, who remain ambivalent towards the Civil Rights movement because it was allegedly led by liberals who might not even have been regenerate. 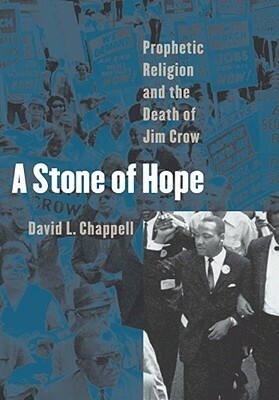 In A Stone of Hope: Prophetic Religion and the Death of Jim Crow (University of North Carolina, 2005), David Chappell shows that Southern African-American Protestant ministers didn’t fit neatly into a conservative/liberal paradigm. Many of them, especially the key leaders, combined a progressive social vision with a traditionally orthodox understanding of human sinfulness and salvation. In other words, most of the key leaders in the Civil Rights movement were evangelicals who were motivated by their faith and a deep sense of how Christian ethics should influence not just individuals, but also cultures—especially cultures that claimed to be strongly influenced by Christianity, such as the Jim Crow South. Like abolition in the 19th century, the Civil Rights movement had a strongly evangelical flavor. White evangelicals, especially from ecclesial traditions that made peace with or even advocated racial segregation, need to see that it was their black evangelical brothers and sisters who took the lead in breaking the back of racial segregation. Of course, racial discrimination didn’t die with Jim Crow, so books like A Stone of Hope remind us that contemporary evangelicals of every ethnicity should intentionally partner together to advance the cause of racial justice in a nation that continues to be deeply divided. 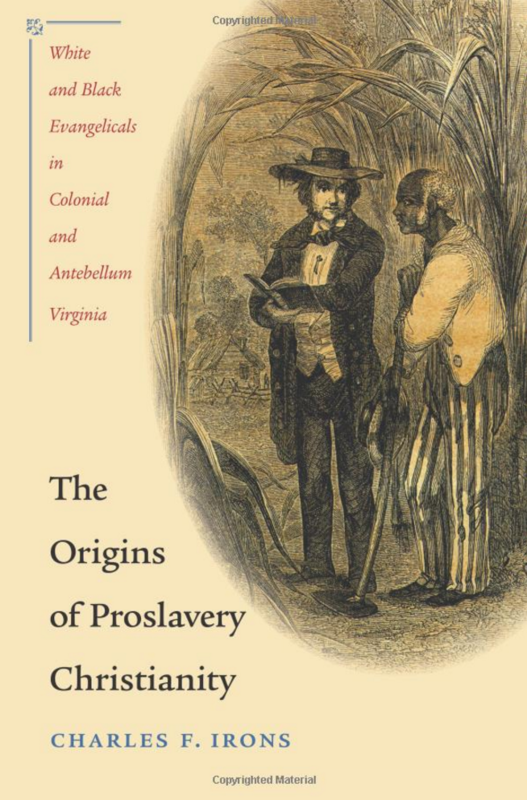 In The Origins of Proslavery Christianity: White and Black Evangelicals in Colonial and Antebellum Virginia (University of North Carolina, 2008), Charles Irons paints a finely detailed picture of how evangelical whites (focusing on Virginia) developed a Christian defense of slavery. Some early Methodists and Baptist leaders in the South expressed moral reservations about the institution of slavery. But as free and enslaved African Americans joined evangelical churches in greater numbers, many whites began to imagine they could maintain church fellowship with blacks—and own some of them as slaves at the same time. Many of the slaveowners who used the Bible to defend slavery, then, were not just thinking of slavery in the abstract, but also of individual slaves with whom they worshiped on Sundays. The Origins of Proslavery Christianity helps us better understand the tragic story of how some American churches and church leaders helped to justify chattel slavery prior to the Civil War. There are a host of books that I, as a historian, could recommend Christians to read at this time. We are as divided by race as any time in American history. When you add political and socioeconomic divisions to that mix, we are in a perfect storm for a potential breakdown in our society. How does the church respond? We first need to recognize that our country, as great as it is, is not our savior. Jesus Christ is. Our hope must stand on nothing less. Second, I think Christians should work locally in our neighborhoods through our churches to embody what true love and compassion look like. As Dr. King said in his “Letter from a Birmingham Jail,” we need to display, like Jesus did on the cross, a transformative love that will help people rise above the environment of violence and hatred. We need but simply look to Christ’s example. Don’t overcomplicate things. Look around your neighborhood and city and do justice, love mercy, and walk humbly with your God. In the Presbyterian Church in America (PCA), we took a year for all our churches to process a personal resolution brought before the 43rd General Assembly (the largest annual gathering of our denomination) on the sins of our denomination during the Civil Rights movement. The resolution was authored by Sean Lucas (a contributor to the book I’m recommending) and Ligon Duncan, chancellor of Reformed Theological Seminary. 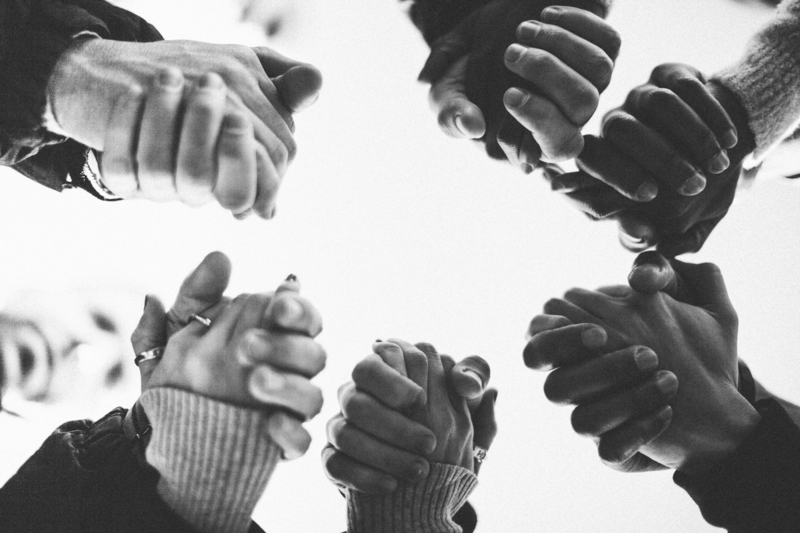 Just about half of our 84 presbyteries across the country did this, which means hundreds of our churches went through a process of self-examination, truth-telling, grief, and repentance. After a year of processing, speaking truth, studying, reading, writing, grieving, repenting, and listening to the voices of African-American brothers and sisters in our ranks, we passed an overture at this summer’s 44th General Assembly, confessing our sins during the Civil Rights movement and corporately repenting. 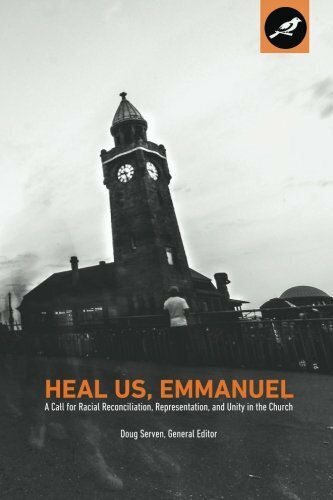 Born out of that context, Heal Us, Emmanuel: A Call for Racial Reconciliation, Representation, and Unity in the Church* [review] (Storied Communications, 2016) is a collection of essays from a multiethnic group of 31 PCA pastors, professors, and ruling elders. chronicling their stories with race and the church in America. Some are journeys of awakening, understanding, and repentance; some are historical narratives. Others are from our beloved ethnic minority brothers and sisters who kindly, gently, and graciously lead us into greater understanding of their experiences, thus helping us uncover our own massive blind spots. This volume a great starting place for any Christian who wants to think more about these issues from a biblically rooted and theologically conservative perspective. *In the interest of full disclosure, I am, among 30 others, a contributor to the book I’m recommending. Profits from this book support minority student and staff development for Reformed University Fellowship (RUF), the campus ministry of the PCA.